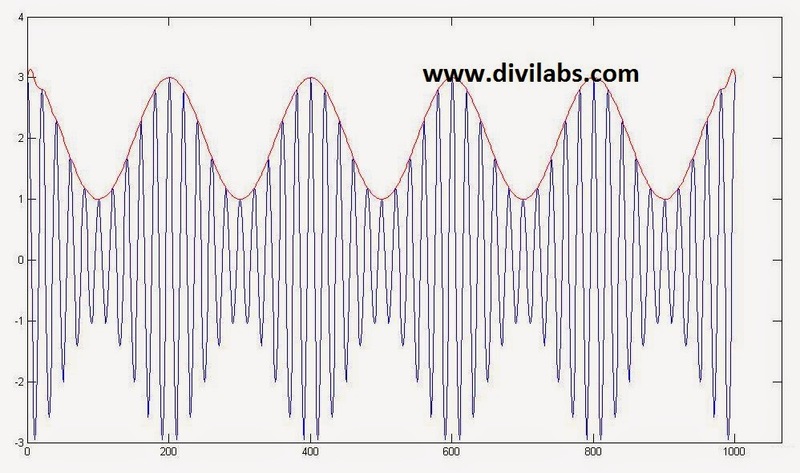 The above diagram/plot is of an Amplitude Modulated wave, & we have just found its envelope. 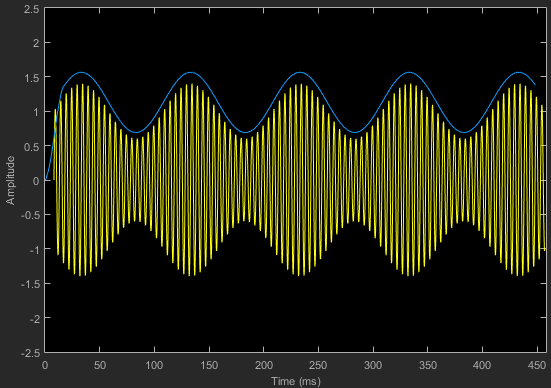 This was the result of one of the MATHWORK'S example in simulink to demodulate the AM signal. Electronically envelope detector is a very simple circuit, consisting of a diode, resistor & capacitor. From ages it has been used to De-modulate the amplitude modulated signals, on the receiver side. The output of the circuit is approximately a voltage-shifted version of the original baseband signal. A simple filter (like a capacitor) can be used to filter out the DC component. In order to get the desired amplitude variation. That was a little about the circuit implementation of Envelope Detector, but how through a MATLAB code we are going to implement the envelope detection? The answer lies hidden in the Hilbert Transform. It been a very common and efficient technique for envelope detection. The Hilbert transform is typically implemented as an FIR filter so the original signal must be delayed to match the group delay of the Hilbert transform. This process can be followed by absolute and then peak hold functions. So, in order to do it, in MATLAB just the simplest way to add this line after the signal of which the envelope has to be calculated. 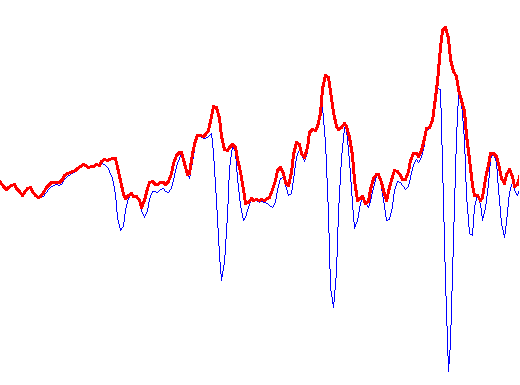 Demodulating the AM Signal, using Envelope Detection through MATLAB. what about the lower envelope?